Blackbaud Financial Edge NXT helps you manage your organization’s accounting needs and produce effective financial reports for respective stakeholders. But before you start adding journal entries and generating reports, it’s important to fully understand the concepts and workflow features of the powerful Blackbaud Financial Edge NXT system. 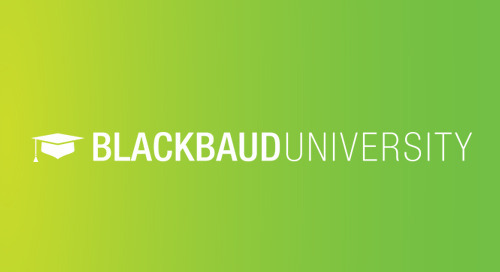 Explore how Blackbaud University curriculum can help your organization ramp up new Blackbaud Financial Edge NXT users, improve system acceptance, and increase staff and system effectiveness. Our curriculum combines technical and outcome-oriented sessions that provide a training path for each staff member and knowledge level. 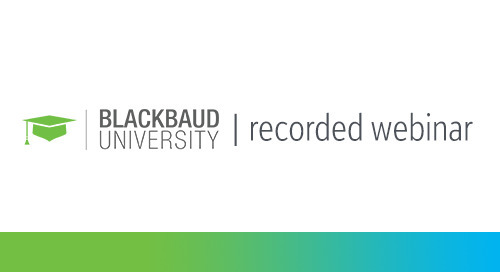 Sign up for this 30-minute webinar today to learn more about Blackbaud University and the Learn training subscription.